As digital photographers it’s all too easy to shoot, shoot, and shoot some more, and find yourself suddenly having to organize dozens if not hundreds of images. They all need to go somewhere; otherwise, your storage cards will be quickly overwhelmed. Hard drive space on your computer is the first choice for many people. As long as your storage capacity is high enough, it’s also the most convenient and easiest choice. You aren’t limited by internet connectivity and don’t have to hunt around for and connect an external drive. Laptop users might prefer to preserve what little hard drive space they have in favor of an external drive. The only real disadvantage to this is having an extra piece of hardware to track when you’re already trying to minimize what you’re carrying with you. Online photo storage is one of the best ways to keep your images securely backed up and organized. The chances of your work being lost after being uploaded are minuscule. And you’ll always be able to access it without it sitting around taking up space on hard drives when not in use. 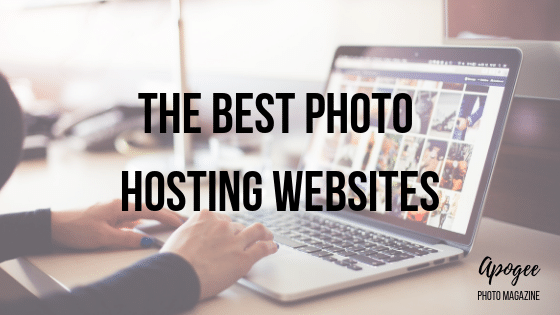 Like just about everything nowadays, there are dozens of options for hosting your images online. So which website best meets your needs as a photographer? It does depend on you, but we can first break down features to keep an eye out for. What should I look for in a Photo Hosting site? One primary consideration is what type of online photo storage you’re looking for. Sites like Flickr and Imgur are great for getting large numbers of images backed up, regardless of image quality. While Imgur has limits on the megapixel counts, Flickr and 500px will take even your highest resolution DSLR or mirrorless camera photographs. How much storage you need is just as important as how much you get. While unlimited storage is attractive over “only” 1 terabyte of storage (Flickr), keep in mind a terabyte is 1000 GB. Do you have enough work to fill a terabyte now or anytime soon? If not, then unlimited storage does nothing for you, and you should consider the site’s other features. Some free sites only offer 1-2 GB, which is far more limiting if you have a large number of high-resolution images to upload. Do you need on-site image editing? Google Photos and several others have this baked in. Zenfolio offers a blog linked to your account. If you already have a WordPress account or don’t care to blog, then this has less value. But if you want to create content that keeps people coming back to visit, then this has considerable value. What sort of domain name do you get for the paid version? With SmugMug, you get a less than appealing username.smugmug.com. SmugMug is many things but is not a name you’ll be proud to have on your business cards. 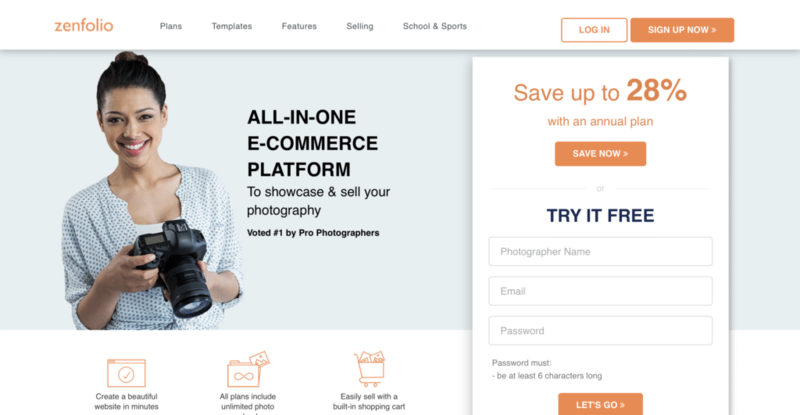 If you want to make sales, 500px, SmugMug, Zenfolio, and others all offer marketplace features. 500px is oriented towards stock and assignments from businesses while the others focus on fine art sales and objects like calendars, greeting cards and more printed with your work. If you’re creating more of a portfolio or gallery for your finest images, you’ll be looking at paid options which include site customization, custom URLs, and other options to help your work stand out from the pack. These sites often include access to print shops so visitors can create and purchase physical prints and wall art from your galleries. Another consideration for pricing is whether you get a free trial period. SmugMug offers a 14-day trial with full access to its professional-level features. That’s full access to the site to feel out whether you’ll be comfortable dropping significant amounts of money into their platform. Imgur is immensely popular for many reasons. One of the foremost is the fact that you don’t need an account to use its basic function. Somehow, very few websites have capitalized on this simple truth. Especially those pages nowadays that demand you create an account even to view the content. Like the others, Imgur also has a social media aspect in the form of upvotes, commentary, and view counts. It does go hand in hand with Reddit usage. Users can also add tags to images for easy indexing. But overall Imgur is more of a quick sharing platform than a true photo hosting site. One notable limitation to Imgur is that it can’t host or display RAW files. Nor can it host image files over 20MB. Video files are limited to 30 seconds and can’t be over 200MB in size. If your video is larger than 2MB, then Imgur strips away the audio content and converts it to a GIFV. In short, Imgur is not a great choice if you have a professional workflow. But when it comes to instant sharing of JPEG, PNG, GIF, and other common formats, Imgur is a great choice. Flickr is a great place to go if you’re looking for photo hosting with a bit of discussion and the ability to comment on the work of others. The cheesy awards can get a bit tedious at times. But if you aren’t into the commentary and discussion, then the storage capacity and having an organized album are all that matter. While it does have a paid option, Flickr is best considered a free hosting website. The Pro version is extremely underwhelming as it only includes advanced statistics (views, SEO, etc.) for your images, a desktop tool for instant uploading, and a collection of discounts for bundles software like Adobe’s Creative Cloud and a Portfoliobox Pro website. There’s very little change to the basic functionality of the site. 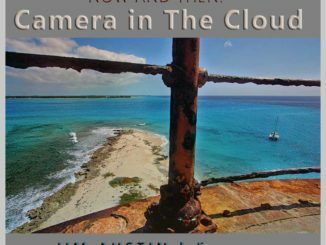 Landscape photographers will love the fact that photos shot with cameras with a GPS chip often have GPS metadata built into the EXIF data. This added information lets your viewers see precisely where and when an image was taken using a map that pops up automatically on the image’s Flickr page. Here’s an example of a geotagged image with an included map. SmugMug purchased Flickr in 2018. 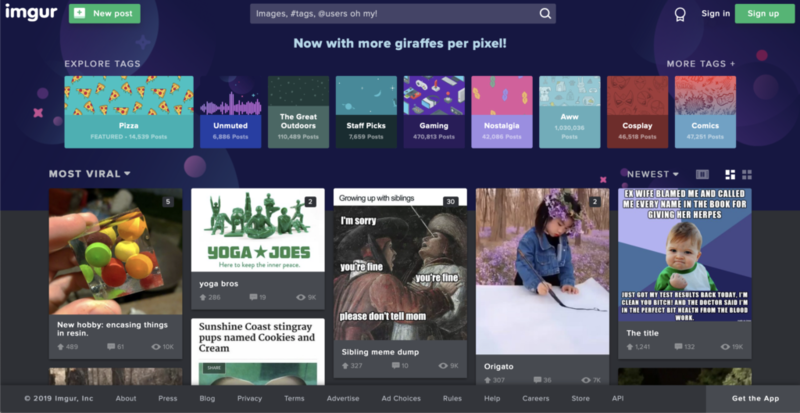 While SmugMug hasn’t said they intended to merge the platforms or make sweeping changes to how Flickr works, there’s a good chance Flickr will have new life breathed into it. 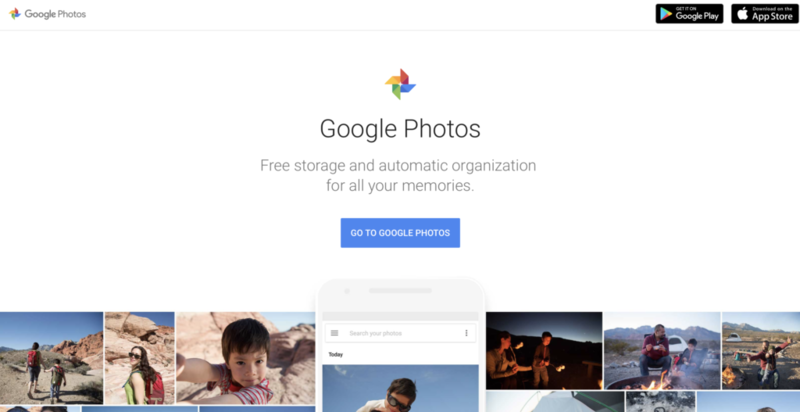 Like all Google products, Google Photos syncs beautifully across devices and platforms. Every photo you take can be instantly backed up to folders pre-organized by you. The facial recognition software is also quite handy for event photographers and makes organization and sharing even easier. Google’s software is intelligent enough to auto-curate some of your work by pre-applying edits and organizational tasks if you do them often enough. Google Photos also has built-in editing software that includes creative filters to give your photos a bit more flair. Palma, Metro, Vogue, and ten other filters can be applied, each ranging from subtle to somewhat garish, depending on your taste. The sharing function allows you to send albums or individual images to people with customized access. Users can either view only or also have the ability to edit and download images. One notable downside is that it only offers unlimited storage for smartphone and 16-megapixel or less images. Higher quality images require users to purchase extra storage. Like Flickr, 500px is meant to be your one-stop shop for image storage, display, and community discussion. People can comment, follow your work, save images as favorites, and view regular articles written by photographers. The 500px Marketplace allows photographers to make a bit of income from their work. You can find assignments for shoots if you’ve built up a bit of a portfolio for companies to browse. 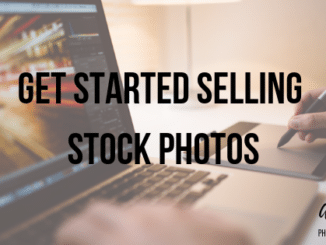 And you can submit images as stock photographs for use by magazines, advertisers, and other companies looking for images to use with their work. While the payout per image is low stock photographers make money through volume sales. Also, you retain full rights to your images, despite having licensed them for sale. With 500px, you have Shutterstock and Flickr-lite in one website, and these features are included with even the free membership. 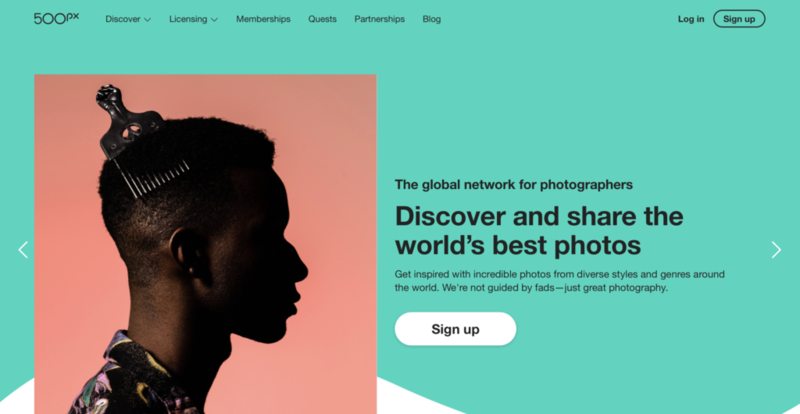 Even so, 500px’s free membership is severely limiting for prolific photographers as you’re limited to 20 image uploads per week. But that can also be something of an advantage because Flickr’s communities tend to be swamped with just as much poor quality work as good. 500px is similar to Flickr, yet it caters to an intermediate to a professional audience. Pixabay takes a unique approach to the image hosting game by placing every image uploaded under a Creative Commons CC0 license. This means anyone can download and use your images for articles, advertisements, and more. If you upload videos, the same also applies for videographers looking for content. Users also have the option to say thank you with a PayPal donation button that appears after each download. Pixabay continues to grow and encourages users to submit quality images and video by placing no limits on the number of images you can submit. While Pixabay functions relatively well for photo storage, it has a very basic interface that’s meant purely for display and for users to download your work. Users can comment, like, and favorite your work but there’s no real community aspect. 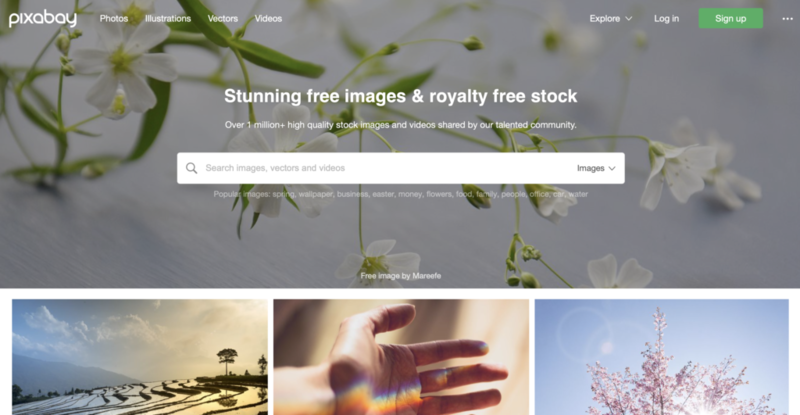 But if you need high-quality images for your projects and want to submit your work to the Creative Commons, then Pixabay may be exactly what you need. For ease of use, Imgur may be one of the best here due to being able to get a photo hosted instantly without even needing to sign up for a membership. Google Photos works as more of a background curator and hosting platform similar to Dropbox. It’s not flashy, but it’s very functional. Flickr and 500px are better for users looking to not only store but showcase their work and join a community of commentators. And Pixabay is meant for photographers looking to contribute to an image pool that allows you to have full access to other people’s work. Each serves a slightly different purpose, and each is well worth looking at for free hosting. SmugMug is one of the most popular photo hosting websites at the moment, and for excellent reasons. The list of features you have access to is truly enormous. Full JPEG and RAW hosting for file sizes up to 150 MB apiece and unlimited storage. Videos are limited to Full HD resolution (1920 x 1080p) but can be as large as 3GB. One of the best things about SmugMug is the customization available through a variety of minimalist-inspired designs. Users can further customize each design with content blocks, links, and more. Each tier does include a custom domain name of you.smugmug.com rather than you.com. And advanced tracking features take note of views over time and image sales. SmugMug’s marketplace allows you to sell physical prints through several shops (you get to choose one to work with) as well as items like mugs, greeting cards, stickers and others with your work on them. 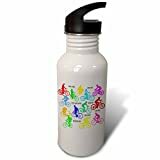 Users can select an image and then create their own merchandise and make purchases through your site. For sheer flexibility, SmugMug is one of the best sites available. SmugMug has also recently acquired Flickr. While there is little news on what changes, if any, SmugMug plans to make to Flickr, keep a close eye on this acquisition. 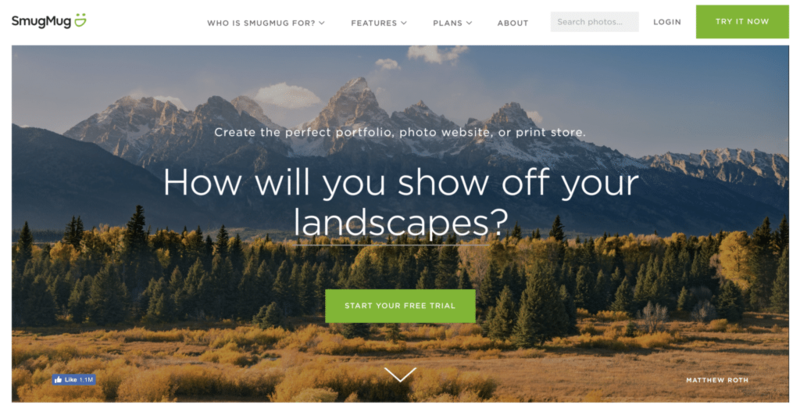 Often seen as the number one competitor to SmugMug, Zenfolio also offers beautifully designed templates that help get your website off the ground as quickly as possible. Only there are less of them available compared to SmugMug. Also, these templates are far more limited in customization compared to the ways you can change things via SmugMug. Still, the fact that your domain name is free of the SmugMug branding is an advantage in of itself. SmugMug doesn’t sound very professional and looks terrible on business cards. And Zenfolio also allows you to create a blog integrated into the site rather than having to link a WordPress or other blog. Zenfolio comes with a marketplace option to sell prints and printed merchandise like shirts, keychains, and more. While it’s slightly more expensive than SmugMug and the other paid options here, Zenfolio is the fastest way to get a professional site up and running. It’s a one-stop shop for all your photography business needs and does an excellent job of it. Squarespace caters to all sorts of websites but is still very well suited for photographers looking to showcase and store their work. Storage options range from just 2GB for the Standard plan to unlimited storage for higher tiers. Bandwidth is also capped to 500 GB/month on the Standard plan so if you intend to get lots of exposure that’s all the more reason to upgrade. Squarespace Analytics offers extremely comprehensive website statistics covering not just views but what’s most popular when and from what browsers, devices, and operating systems they’re using. You can tailor your content to fit a mobile device audience if it’s clear most of your viewers are using their smartphones, for example. 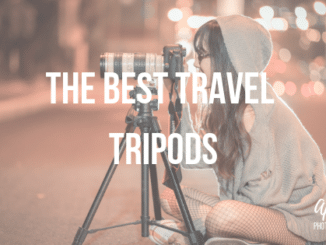 It also includes blogging, video backgrounds, image metadata importing, focal point control for quick cropping/editing, and full integration with your favorite social media sites like Facebook. Squarespace is so feature-rich the learning curve is somewhat higher than the other sites here. 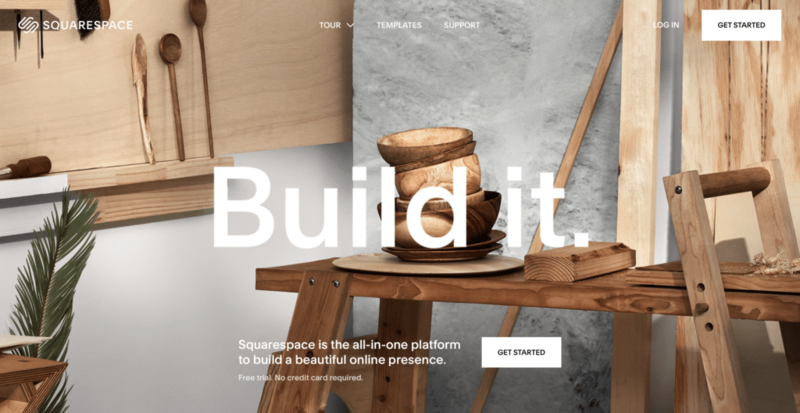 But if you want the best quality page and want to spend time learning how to improve your site with the variety of tools provided Squarespace is an excellent choice. 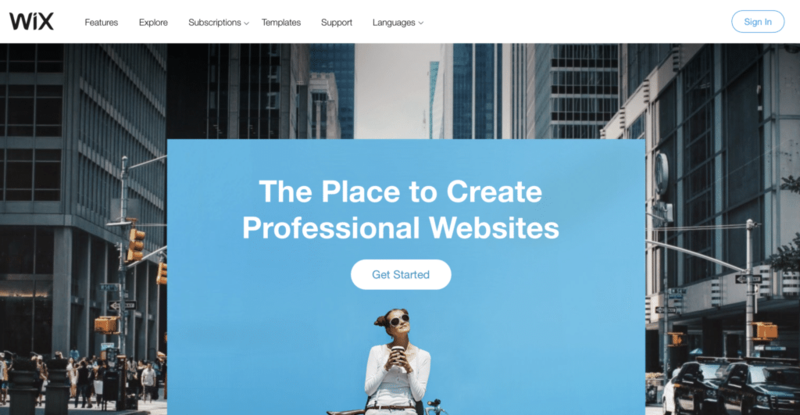 Like Squarespace, people can use Wix for many different types of websites. But the emphasis on graphics makes it a strong contender for the photography market. Custom domains come with every plan besides the free version and Wix also offers one-week trials to allow you to test their services. Page statistics and user reports are simple to generate and analyze thanks to Google Analytics being part of your Wix membership. 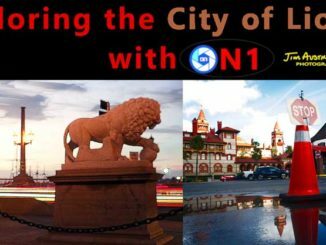 Like the other sites here Wix also allows you to create a digital marketplace for viewers to purchase images as physical prints or digital downloads. They can also buy items with your photographs printed on them. The free version of Wix comes with just 500 MB of storage, which may be enough for a restaurant or blog. But a photographer looking for photo hosting should start with a paid plan. One notable downside to Wix is that even the VIP tier maxes out at 20GB of storage space. This site is on our list twice. The free version is very competitive as an image hosting site combined with a marketplace and community aspect. The only real drawback was the 20 uploads per week limit. 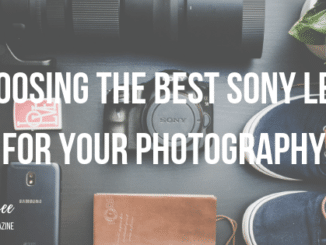 As a professional photographer using the paid version, this does mean that the vast majority of the work you’ll be looking at is people’s very best stuff. This takes some of the tedium from navigating through a flood of low-quality shots that often plague Flickr. As a paid user you have unlimited uploads per week. The Pro and Pro+ plans are unique in that they allow you to make use of the community aspect in ways Flickr doesn’t. 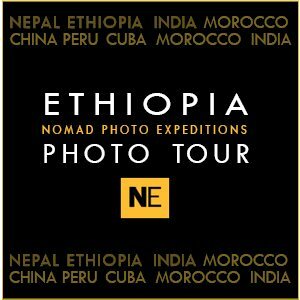 Once you have enough people following you, you can create classes for photographers to sign up for. You also gain priority status if businesses are looking for photographers in your area for shoots. Pro+ includes all of this plus an Adobe CC licensing plan at a reduced rate. You don’t have the customization available in the other paid websites listed here, but 500px’s pricing is also significantly more reasonable. 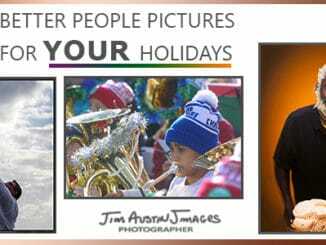 There’s a bit more crossover with the paid photo hosting websites compared to the free ones. All of them offer customizable domains (except 500px) as well as marketplaces for image sales. Photographers who want full customization for their websites should look at SmugMug, Wix, and Squarespace. Zenfolio and 500px are designed to get your website off the ground as quickly as possible. The pricing varies as well, depending on the features and storage capacity you need. Wix is the only one offering limited storage. If you only need to showcase a few of your very best images, then the 20 GB offered by Wix will suffice. But each of the others offers unlimited storage capacity. Each site listed here comes with great features that make it worth considering. And because the features vary so much there’s no reason you can’t have memberships with two or more of these sites. I use SmugMug for my portfolio and gallery sales. I then use Pixabay to offer free images for people’s Creative Commons use as well as my own. And Google Photos makes for simple sharing and curating for most of my work that I want to hold onto but don’t want to clutter my SmugMug gallery with. It’s worth exploring the other sites even if you don’t need extra hosting because every year these sites come out with new and improved features. SmugMug’s purchase of Flickr is interesting, but little has come of it so far. But Flickr still has an enormous user base and was one of the first community-oriented photography sites to pop up. It’s brand recognition remains powerful, and good things should come of this merger in the future. At the moment 500px may have replaced Flickr as the best social media oriented photography hosting site, but who knows where both sites will be in a couple of years? Take time to explore each one and see what they have to offer before you make up your mind and settle.